Don’t miss out! 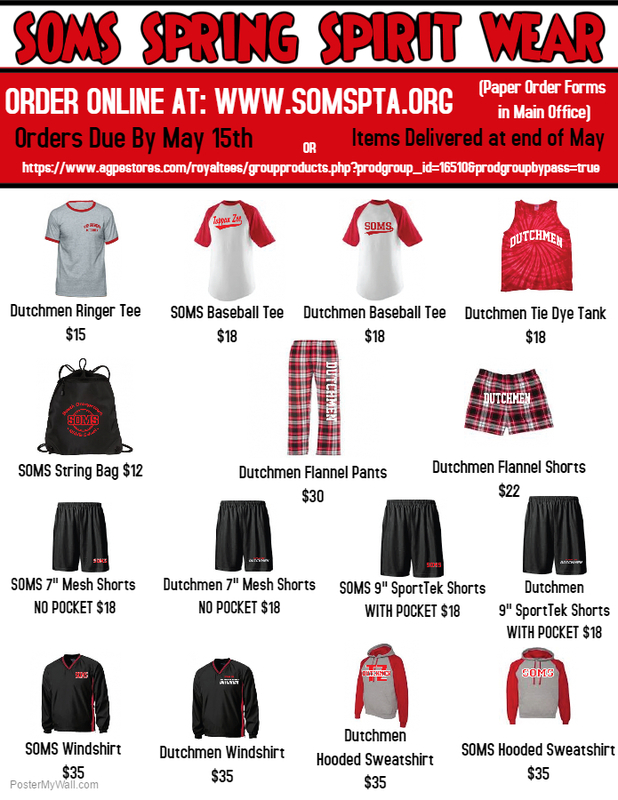 SOMS/Dutchmen Spirit Wear and LockerWorks Locker Organizers are available to order until Friday, May 19th! 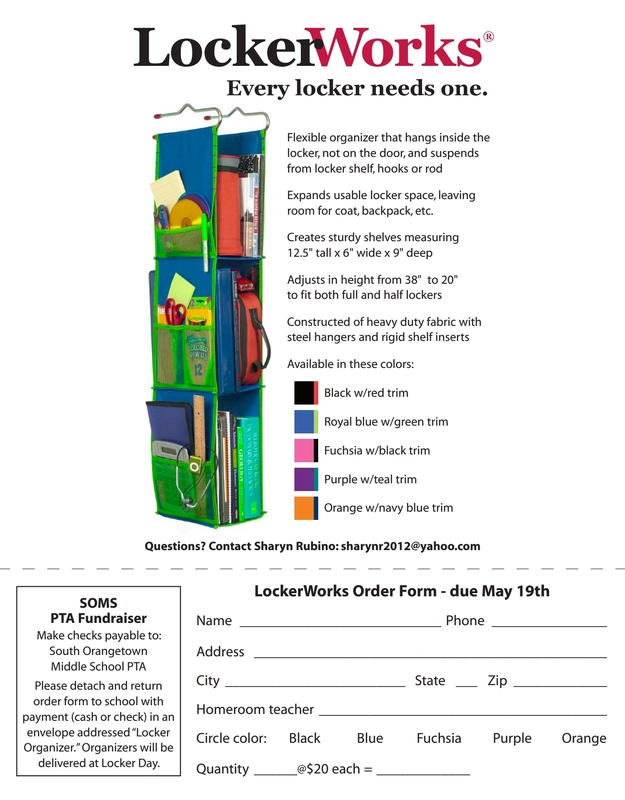 Locker Organizers must be ordered using the paper order form provided below.